The Manitoba government is taking the first small step toward the eventual legalization of edible cannabis products. The Liquor, Gaming and Cannabis Authority of Manitoba has issued a request for proposals from researchers interested in conducting focus groups in February and March. 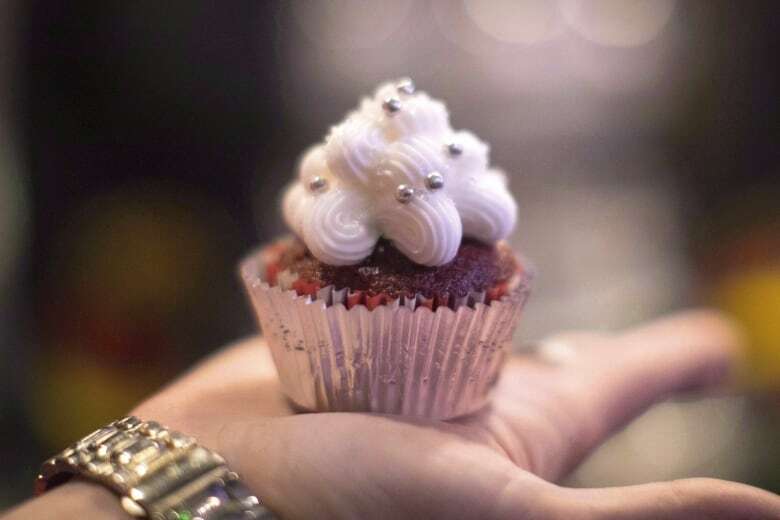 The groups — to take place in Winnipeg, Brandon and Thompson — will examine public perceptions and knowledge about cannabis edibles and concentrates, according to the RFP, which was issued Tuesday. "The purpose of this project is to employ focus group methodology to build a preliminary understanding of what motivates people to consume different forms of cannabis such as edible and concentrate products," states the official RFP. "Additionally, there is a need to understand public perceptions of edibles to determine what lower-risk information resonates the most with various demographic groups. "Focus groups with people who currently consume cannabis will provide valuable information to inform policy and social responsibility initiatives." Recreational cannabis became legal in Canada on Oct. 17, though only dried and fresh cannabis, oil, plants and seeds are currently allowed under the legislation. The federal government has said edibles containing cannabis and cannabis concentrates should be legal within the next year. Kristianne Dechant​, LCGA manager of research, said the province wants to have everything in place so it isn't caught flat-footed when that happens. "This is more exploratory, to make sure we're addressing everything," she said. It might turn out that the current regulations around the products already being sold will be sufficient to cover edibles. However, Dechant said there could be a need for more specific rules around edibles, and the focus groups will help uncover that. "We do know these products [edibles] do have particular risks with the potential for children and pets to ingest them, so safe storage is something we want to make sure is addressed," she said. "And because these products take longer to go through your system there is a higher risk for over-consumption. So there are those education concerns." The deadline for the RFP is Jan. 7. The successful research consultant will be required to have the focus group work completed by March 31. Jason Busse, associate director of the Michael G. De Groot Centre for Medicinal Cannabis Research at McMaster University, said the primary difference between smoking and eating cannabis is how long you have to wait before noticing the effect, as well as how long the effects last. The high from smoking cannabis will stick for up to an hour or so, but a high from edibles can linger for six to eight hours. Where you might feel a "high" 10 minutes after smoking cannabis, you're likely to wait an hour or more after eating an edible. The longer lead-time makes it easier to overdo it on edibles, he said. "You can't fatally overdose on cannabis, but you can certainly introduce very troublesome symptoms," he said. "Hallucinations, paranoia, lots of anxiety, sufficient to the extent that someone may even have to then go to the emergency room for treatment." Busse said what worries him about edibles compared to other forms of cannabis is the potential for cannabis-infused treats — which can include gummies or baked goods — to look appetizing to children. That puts an onus on parents to keep them out of reach, and on lawmakers to make sure public education on the subject is rigorous, he said. "You'd want to see education. You'd want to see that these products are being carefully secured," he said. "I'd want to see some tracking in terms of emergency department visits for cannabis-related overdoses or cannabis-related causes." Other challenges around edibles include the difficulty of being precise with dosage information, Busse added. Yannick Craigwell, owner of Vancouver edibles bakery Treatsandtreats, said his bakery deals with that problem by using a cannabis dissolute, which allows him to calculate to the milligram how much THC is in each treat. The bakery sells items online to users who must sign a waiver indicating they're medicinal users, Craigwell said. Since cannabis legalization put the drug in headlines, Craigwell said he's seen a jump in online orders for his products from coast to coast to coast. "In all reality, who wants to inhale burning plant matter, if we're being practical?" Craigwell said. "If you're trying to get THC into your system for actual medicinal purposes, you want it to be as pleasant as possible. … For other people it's just a good way to enjoy something that tastes great." Craigwell said it's important to him that his products aren't accessed by children, and the website offers an option to require a signature before the package is delivered so parents can ensure their kids aren't getting at their product. But there's only so much businesses can do to protect kids, he said: some of that responsibility has to be on the consumer. "To be honest, it's not a bunch of crazies who are taking these and giving them to kids," he said. "Bad things can happen, but if we always work on the worst case scenario our world would not be functional." 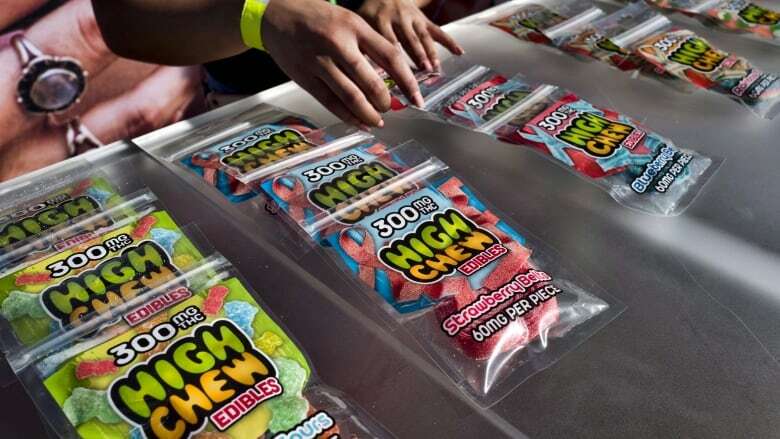 Any regulations around packaging of edibles needs to strike a balance between not appealing to children but still letting adults get a look at what they're purchasing, he added, especially in the case of food. "If you're buying food you want to make sure it's fresh, you want to make sure the texture looks right," he said. "You want to make sure it looks like something you want to ingest."